It’s made with the healthy stuff you should be eating every day, but typically don’t. Shakeology is the perfect combination of proteins, phytonutrients, antioxidants, enzymes, prebiotics, and probiotics. Plus, it is also formulated with many rare ingredients, including adaptogens, camu-camu, and maca root—things we don’t usually get from an ordinary diet. So whether you use Shakeology to help support weight loss, or drink it to help support your health, this powerful and delicious shake is Your Daily Dose of Dense Nutrition®. YOUR DAILY DOSE OF DENSE NUTRITION®. Taking care of yourself starts with fueling your body well. Join my nutrition challenge group and learn how to eat healthy and take care of yourself. What Shakeology® Really Does for You. Many customers and potential customers ask what Shakeology is actually supposed to do for them. While each person’s body is unique and different, we have come up with some short summaries of effects that anyone taking Shakeology on a regular basis should experience. Shakeology contains some of the most potent antioxidants: flavonoids and phytonutrients such as spinach, blue green algae, carrot powder, strawberry powder, and vitamins E and C. These help to prevent free radicals from oxidizing and destroying cells. The ingredients in our antioxidant blend such as pomegranate, acai berry, camu-camu, goji, and blueberry also have powerful antioxidant effects to support your immune system and help protect your body from normal inflammatory response. Shakeology contains a range of B vitamins and trace minerals, like zinc and magnesium, from whole food sources that regulate metabolism and increase energy. Shakeology also contains maca root, an adaptogen herb known to promote endurance and stamina. Check out our Ingredient Spotlight on maca root to learn more. The Shakeology non-dairy prebiotic and probiotic blend contains fiber and different enzymes like amylase, papain, cellulose, and lactase, which all support digestion. These ingredients aid in breaking down food molecules into smaller molecules that can be properly digested, so all of the nutrients can be absorbed into your system. One scoop of Shakeology provides 100% of the daily recommended intake of vitamin B12. B12 is often linked with good mood maintenance; B vitamins are also essential for the production and proper functioning of neurotransmitters like dopamine, crucial to the experience of pleasure. Shakeology also contains cacao, which is very high in phenylethylamine (PEA). PEA acts as a neuromodulator to enhance one’s mood. Many of the ingredients in Shakeology (spirulina, chlorella, flaxseed, barley grass, spinach) contain powerful detoxification compounds such as chlorophyll and alpha-linolenic acid. These ingredients may help rid the body of environmental toxins such as smog, heavy metals, herbicides, cleaning products, and pesticides. They also aid in liver detoxification. Shakeology also includes kamut grass, an ingredient coined “nature’s most powerful detoxifier.” This grass has been known to cleanse the body and detoxify the cells to restore health and vitality. The antioxidants, bioflavanoids, and flavanoids in Shakeology work to support immunity. Some of these ingredients include ashwaganda, acerola cherry, rose hips, and goji berries. The goji berries in Shakeology are one of the richest sources of antioxidants; not only does goji berry promote eye, reproductive, and circulatory health, but it also supports your immune system and promotes longevity! The protein, chromium, and nutrient-dense calories from superfoods in Shakeology work to help decrease your appetite. Chromium is important because it helps maintain blood-sugar levels, which reduces sugar cravings and promotes fat metabolism. Plus, protein-rich meals are a great way to keep you feeling full, longer! Let’s face it, the American diet is terrible. Rarely do any of us eat enough fresh fruits and vegetables; instead, we reach for what’s quick and easy—packaged food and fast food—which have been so over processed that they lose a lot of their nutritional value. The reality is, we’re running our bodies on empty. And like a car, we need fuel to go. Good fuel. Not empty-calorie junk. When you start thinking of what you put into your body as fuel, you immediately realize how important Shakeology is to help supplement your daily diet. Because Shakeology is packed with some of the world’s most potent, nutritious, and delicious ingredients, it’s one of the quickest and easiest ways to help you eat healthy, stay satisfied, and live a healthy life. Shakeology is packed with essential vitamins and minerals. Most of us don’t get the complete range of essential vitamins and minerals in our daily diets. Some important vitamins—such as vitamin C and the B vitamins—are water- soluble, meaning they’re flushed out of your body after a short time and need to be replenished regularly. Others, like vitamin E, can be difficult to get enough of in food. Shakeology has vitamins, minerals, and phytonutrients. Vanilla, Chocolate, Strawberry, Greenberry, and Café Latte Shakeology are fortified with added vitamins and mineral isolates, which are listed in the Supplement Facts, and you see them listed as Vitamins A, C, D, etc. In our vegan formulations, there’s a multitude of phytonutrients as well as vitamins and minerals, but because they’re derived exclusively from whole foods, and not fortified with controlled levels of vitamin and mineral isolates, these amounts will vary naturally. Four oranges from the same tree will have different levels of vitamin C.
For this reason, we are not able to specify vitamin and mineral amounts on the vegan Shakeology labels. Some people favor vitamins and minerals coming only from whole foods, while others believe that their bodies need extra vitamin and mineral fortification. One is not better than the other; the choice of what to consume is up to you and what you feel your body needs. Meet some of my raving Shakeology fans and learn how Shakeology has improved their health! Shannon started using Shakeology to help manage her nutrition, lose weight and feel better. After trying one of my challenge groups Shannon said "I am all in .... I feel better with shakes than I have in years.... And never get tired of them ... I especially love how easy and convenient they are to make. Mitzie and Bill are dedicated to making their health a priority. They both love the results they get from Shakeology-healthy from the inside out. Mitzie has lost 30 pounds using Shakeology, a healthy eating plan and exercise program with me. Leslie, a personal trainer incorporates Shakeology to fuel her busy days and recommends it for her clients. "Shakeology provides your body with a daily dose of dense nutrition. It is like 5 trips to the salad bar in one shake!" 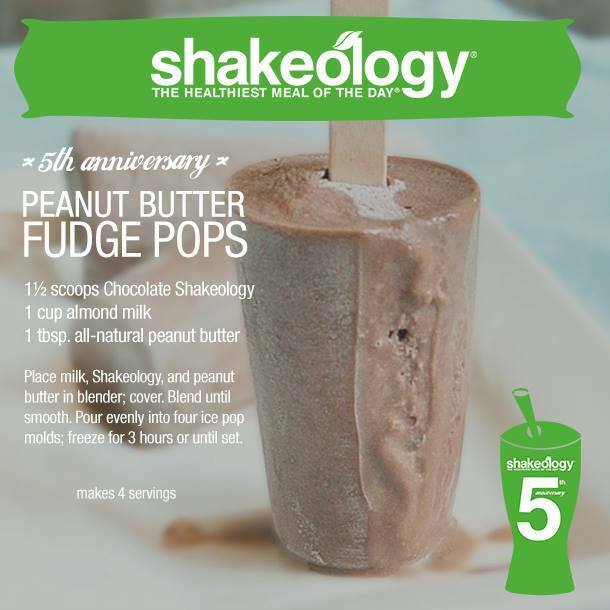 Melodee loves the convenience and nutrition provided in Shakeology. As a busy pharmacist she sees a lot of fad diets and products come across the isle. Melodee loves the science behind Shakeology and knows she is taking care of her health and providing her body with whole food nutrition. Jodi, mom of two, personal trainer and group exercise instructor said "I can shake it up on the go and it gives me all the vitamins I need! Liz, wife, mother, grandmother and trainer uses Shakeology daily to fuel her body for a busy day of training and well being. Liz said "I drink Shakeology for the side effects! I feel so much better when I have my daily dose of Shakeology. It gives me more energy, more focus, no brain fog. It also keeps me from over eating, and snacking and keeps my gut in check. Win, Win, all around!" Shakeology is more than just a supplement shake. There are so many incredibly healthy and delicious things you can make with this potent powder—such as pudding, pies, granola bars, and more. And because of its high protein content and other energy-supporting ingredients, Shakeology makes a perfect preworkout or recovery drink as well.